Google Home Reaching Beyond Website Search | With ‘Actions on Google Now’ it’s possible to bring your services to the ‘Google Assistant’ on Google Home. 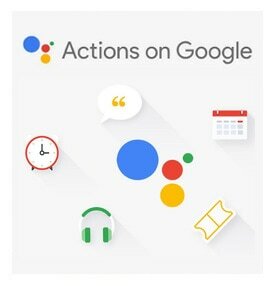 Now developers can build ‘Conversation’ Actions using Actions on Google. This developer platform allows you to bring your services to the Google Assistant on Google Home. The Google Assistant brings together all of the technology and smarts we’ve been building for years, from the Knowledge Graph to Natural Language Processing. To be a truly successful Assistant, it should be able to connect users across the app’s and services in their lives. This makes enabling an ecosystem where developers can bring diverse and unique services to users through the Google Assistant really important. Today is just the start, and we’re excited to see what you build for the Google Assistant. We’ll continue to add more platform capabilities over time, including the ability to make your integrations available across the various Assistant surfaces like Pixel phones and Google Allo. We’ll also enable support for purchases and bookings as well as deeper Assistant integrations across verticals.